We all want to escape the local scenery and explore different surroundings, but truth is there are tons of cute places to discover around our own radius. Even though I grew up in Oakville, I always thought that our neighboring town, Burlington also had its own charm. 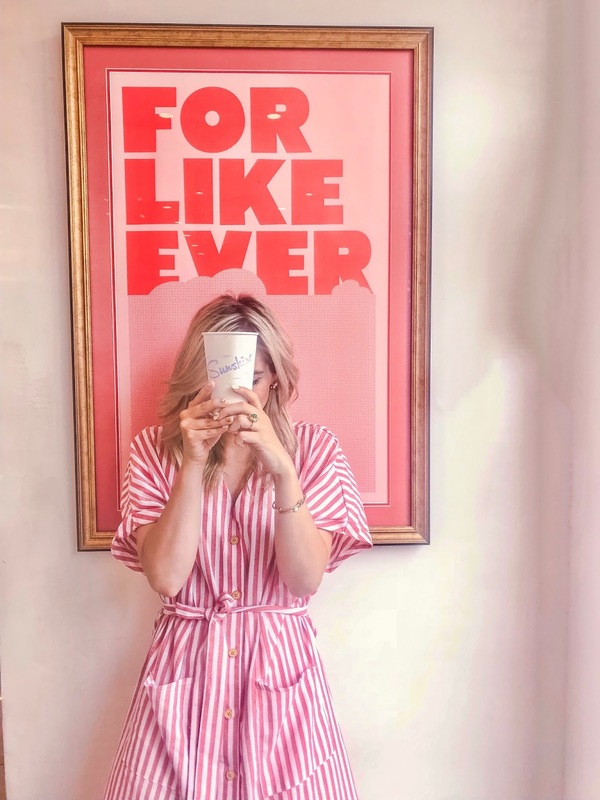 Sharing with you my favourite spots in Burlington, Ontario that are worth visiting for both the food, but also for the unique interior design. A landmark for everything donuts and cute décor. This donut shop in Burlington, is not only cute in the inside, but also in the outside too. 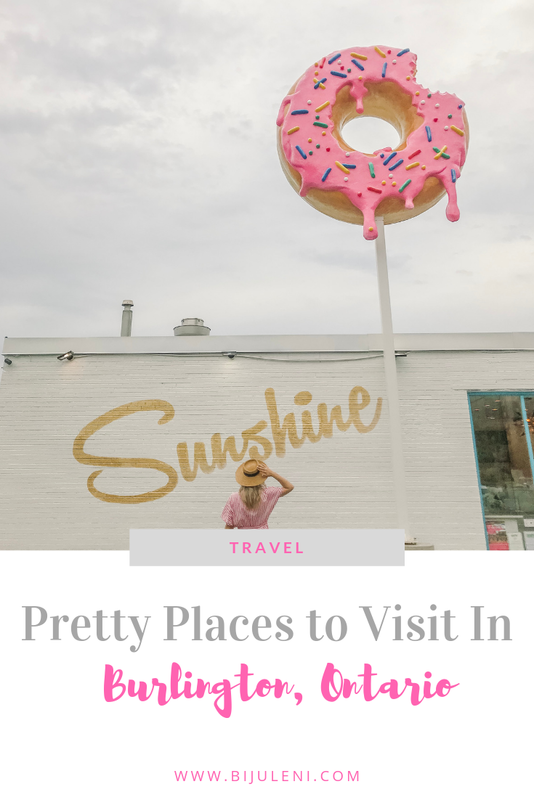 There is a giant donut in the sky, that makes for the perfect photo op, and if you are looking for something more subtle there is also a “Sunshine” wall mural where you can snap a quick photo. The indoors is vibrant and fun, with a massive pink sprinkle donut mural, turquoise tables and beautiful gold light fixtures. Sunshine Doughnuts, is an adorable spot to go with your girlfriends, kids or even your partner. They have a variety of donuts to choose from, all of which are very colourful, and they also serve a mean cup of coffee to go along with your sugar fix. The donuts? Oh so yummy! Quick Tip: Weekends get very busy so make sure you go early to make sure there are donuts left. Loved by locals, but also by out of towners who are willing to be stuck in traffic in order to grab a box of the delicious vegan and gluten free cupcakes at Kelly’s Bakeshop. Cupcakes, muffins, cookies, cookie sandwiches, donuts, brownies, and bars; Kelly’s Bake Shoppe has it all. There are daily specials that alternate on a weekly basis, and some desserts are seasonal. Son of a Peach is such a pleasant surprise. An urban building on the outside, a décor haven in the inside. Son of a peach is a super adorable pizza place in the heart of downtown Burlington that is definitely going to satisfy your testing buds and aesthetically please your eyes. The restaurant has a retro 60s vibe, with colourful walls, poufy light fixtures, just beautiful all around. Being Greek, I take my calamari very seriously. This is the yummiest and juiciest fried calamari. The pizza is also delightful and even though their pizza menu is typical, the taste is anything but.We tried the Hawaiian pizza and it was the best Hawaiian pizza I have ever had. Lettuce Love may not be as cute as the other spots, but it is worth the trip for anyone looking for a healthy yet flavourful meal. Although this is a vegan place, the food is so delicious that you won’t even be able to tell the different. Lots of choices to choose from the menu from rice bowls to salads to even smoothies, although their tempeh burger was fantastic and you should definitely try it. Lettuce Love is also very affordable and has an incredibly beautiful patio. 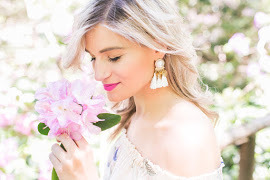 Driving by on Lakeshore Road it is easy to spot Amanda Steene Cosmetics with their beautiful floral pink wall. This beauty boutique offers unique custom products like lipstick and lip-gloss, custom foundation and concelear. The staff is extremely friendly and helpful with explaining the different services they offer. Do you have any favourite spots in Burlington?